Question 1: What is the Process capacity of GN oily sludge separation unit? 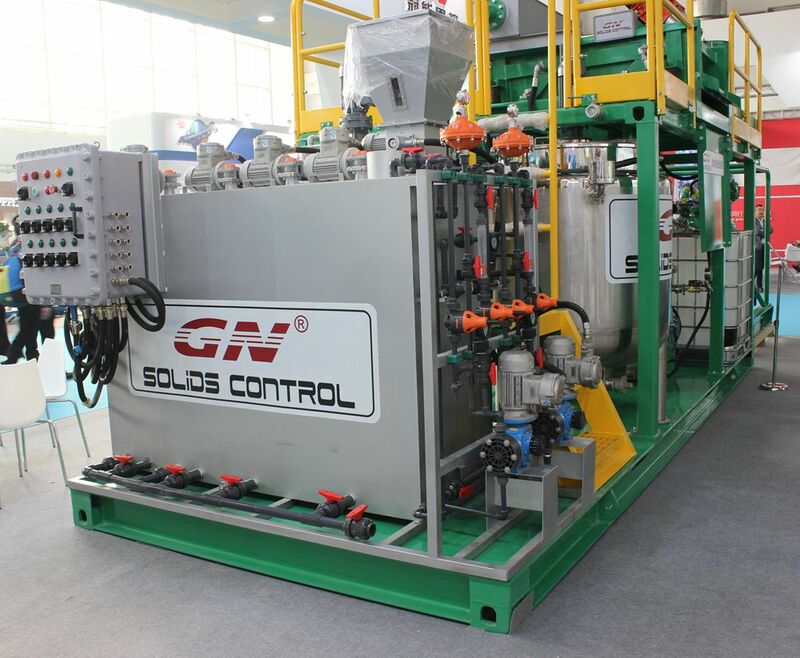 GN Solids Control have 5 m³/h and 15 m³/h system, this capacity is after dilution and mixing before feeding to shale shaker. Furthermore, GN Solids Control has a 1~2 m³/h unit. The 1~2 m³/h unit is a one-skid unit with very compact design. It is mostly used as test unit or for small capacity. Question 2: What kind of specs (%solids and water) can be expected on the recovered oil, water and solids? Like BS&W of recovered oil; Hydrocarbon content in recovered water ; hydrocarbon content in recovered sand/soil/solid. The recycled water from 3-phase centrifuge is 500-1000PPM. It can be reused in the washing process. The BS&W of the Recovery Oil from 3-phase centrifuge is 2-3%. It is clean enough to sell to the refinery company. The solids discharged from centrifuge contain oil between 2%-5% which can be sent to biodegradation. Question 3: What temperature does it operate at? The tanks include pipelines for heating media can be hot steam or hot oil. Temperature recommended to 60-70 C degree. Question 4: Is this unit is explosion proof or not! Yes, all GN oily sludge separation systems are Explosion proof.